For those who's going Western Australia, no doubt you would be visiting the Margaret River region for their excellent wines. 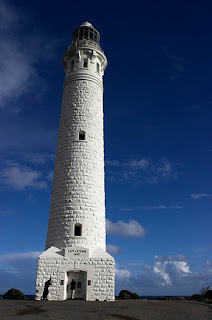 Consider taking a day or two, and going further south to Augusta, and visit Cape Leeuwin, the most south-westerly point in Australia! 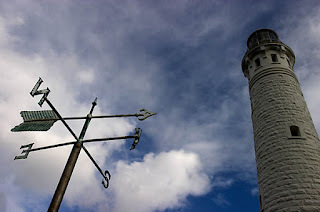 Here at this extreme point lies Cape Leeuwin Lighthouse, one of the last few lighthouses that still have a clockwork mechanism and kerosene burner. Of course, electricity is being used now, but it was until 1982 that it was still manually operated by the old mechanism. You need to buy tickets to go into the lighthouse. This lighthouse watches over not one, but two great oceans. 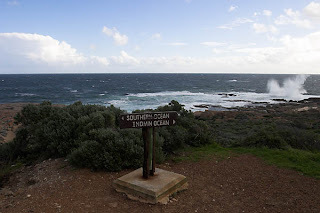 Here at this most southwestern edge, two oceans collide - the Southern Ocean and the Indian Ocean. 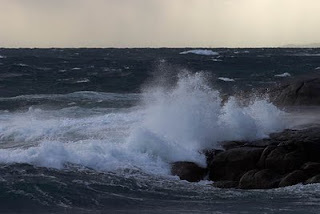 As I stand at one of the rocky outcrops, the waves were tremendous, and the feeling somehow great. 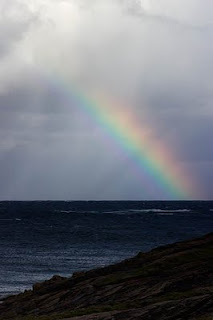 But it seems that these two oceans were in battle as in the distance, dark clouds loom. As I got into my car, it turns out that the clouds were laden with hail! Lucky that I had manage to reach my car, as it would have been a painful experience from the sounds of the hail stones on my car top! Nevertheless, an interesting experience! Well, you'll probably not get the hail experience, but a stop at this south western point of Australia where the Southern and Indian Ocean meet would be cool too eh?